With the coming of World War II, Frank Capra was among the most prominent filmmakers to put his skills at the service of his government, contributing these two films to the Why We Fight series of propaganda films, both with cinematography by Nanook of the North director Robert Flaherty. 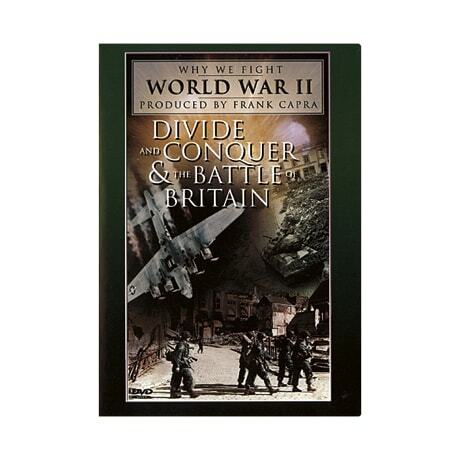 Divide and Conquer (1943) examines how Germany initially made peaceful overtures to the nations of northern Europe, a deception used to mask the Nazi government's plans to invade them at a later date. Also from 1943, The Battle of Britain shows how England's darkest hour became its finest, with footage of the outnumbered RAF pilots humbling the supposedly unstoppable German Luftwaffe.